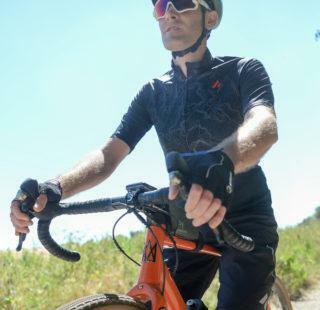 Summer base layers – do you even need them? 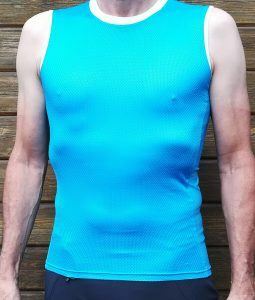 I have never really been convinced about the need for a summer base layer. 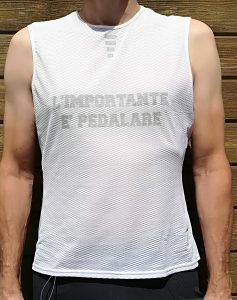 Sure the pros use them, but in summer, I always prefer to ride with just a shirt. Given the advances in fabric technology though, I thought it would be appropriate to reassess the situation. Maybe the pro peloton are onto something after all! The current spate of warm weather gave me an excellent opportunity to give five different base layers a good testing. Prices for the test garments range from £6.99 to £50.00. Given such a wide price range, you have to wonder whether there is any functional difference between the cheapest and most expensive. It is fair to say that all of the base layers do the job they are designed for. They are all breathable and wick moisture away from the body when you start working hard. At the end of every ride, I have ended up dry and comparatively cool. Several of the garments claim ‘anti odour’ properties. I have certainly not experienced that nasty whiff of ammonia at the end of a ride, whichever one I have worn. While it is nice for the multi day bike packer to remain smelling fresh for as long as possible, I have not been able to bring myself to do more than one ride without giving them a wash. Sorry! On the bright side, they all seem to be dry within minutes of emerging from the washing machine. All bar one of the layers on test employ ‘mesh’ fabrics. The main difference I have noticed is that the ‘non mesh’ garment (Under Armour) often feels clammy* at the start of the ride. After a little while though, the feeling goes away and it be becomes as invisible as the others. Under Armour is the only one to claim any compression qualities. *This ‘clamminess’ was also a feature of some Craft summer weight base layers (of similar material) that I bought a few years ago. On balance, I’d say the Under Armour is slightly better than the Craft. 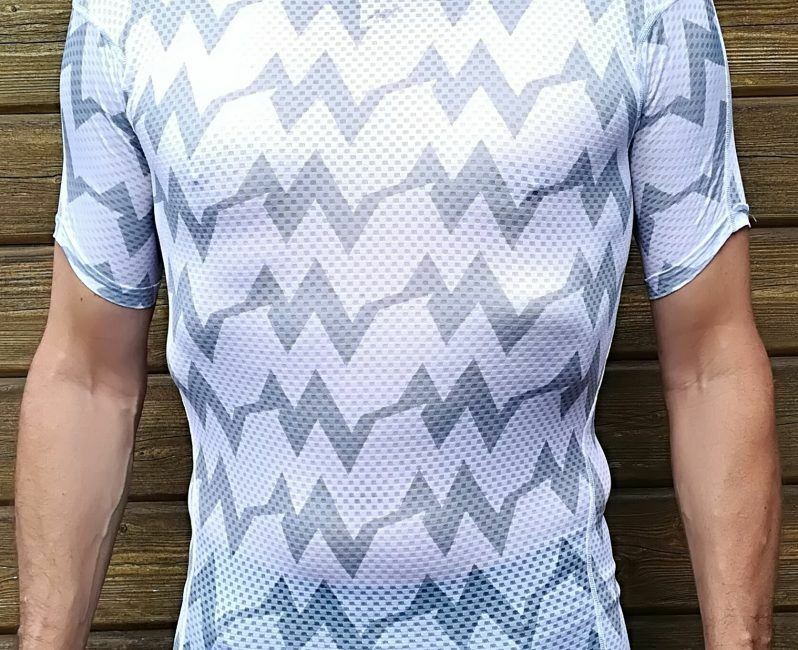 Also available in ‘Rapha’ pink – albeit with sleeves. The vest is made up of two distinct types of panel. The front and back are a 93% polyester and 7% elastane mesh. The slightly more elastic side panels are 87% polyester and 13% elastane. Going by the sizing on the packet, I opted for the XL. This cover chests from 107cm so in theory, it would spot on for me. The cut is far looser than all the others. It is particularly baggy under the arms. I would go so far as to say that the size guide is out. When you wear it under a shirt though, it seems to function as well as the others. Whether this would still be true if you were wearing a MTB style, baggy, shirt is something I have yet to explore. On the down side, with a normal road shirt, the excess material bunches up. This aside, the quality of the garment seems no better or worse than any of the others on test. The seams are double stitched, flatlock and seem not to be scratchy or irritating. Fabric information and washing instructions are printed directly onto the fabric so there are no annoying labels. Although the length is adequate, I would like it to be a little longer. At £6.99, I can forgive the Crane base layer most of its shortcomings. It is the cheapest by far. Maybe the ‘Large’ would have ended up a better fit but I wanted to see whether the actual size matched up with the sizing guide on the packet. To summarise then, a good value, perfectly functional, no frills, summer weight base layer. Beware the baggy cut and consider going a size smaller. I find Galibier sizes are generally spot on. This is the case with the Sleeveless Base Layer. I am XL according to their sizing chart and the XL fits perfectly. Available in one colour – a sort of sky blue, with the brand name printed in a very large font on the reverse panel. This is one of the garments claiming ‘odour resistance’. The main fabric is 100% polyester ‘Airmesh’. Seams are double stitched, flatlock and are as comfortable as you would expect. Although not a ‘compression, fit, the vest is very close fitting. Plenty long enough, the only gripe I have is that the cut of the arms is a little tight. I could feel the seams almost cutting into my skin. I got around this by tucking the shirt right down into my bib shorts. The elasticity of the fabric ensured that it was comfortable thereafter. There are no washing instructions printed onto the fabric, nor is there a label. Double check the tag before disposing of it! 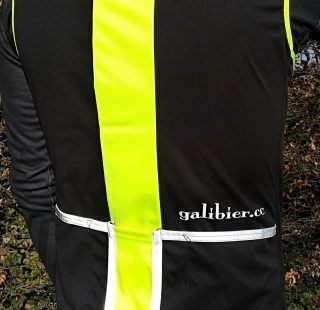 Another good value garment from Galibier. If the cut under the arms was a little lower, it would be pretty much perfect. Available in black and white this is another fairly basic garment. The dhb range is the in house Wiggle brand name. 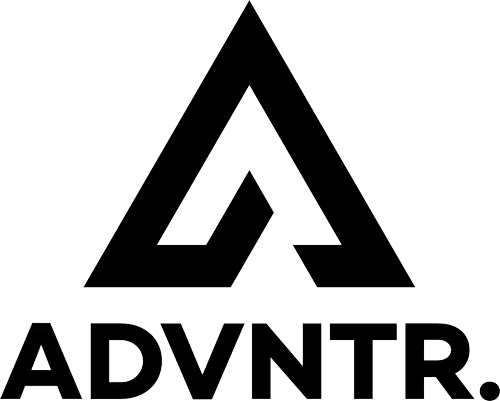 They seem to produce a wide range of clothing that runs from perfectly decent kit that does its job, to high end kit, without the premium price ticket you often find with such clothing. I chose a Large (101.5cm to 105cm) as it would put me right at the top of that size range. The vest fits absolutely fine around the chest, but I feel it is a little short. In my experience, length does not vary significantly between L and XL so the smaller size option won’t have too much impact in that respect. The mesh is 93% polyester and 7% polyurethane. Flatlock seams and claims to be another ‘odour resistant’ fabric. Apart from some interesting panel shapes there’s nothing much to say about it. This might be its secret weapon. Nothing fancy but it ‘just works’. I certainly have no complaints about the effectiveness of the fabric. I just wish it were a little longer! 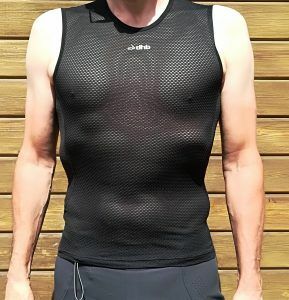 The only non mesh, ‘compression’ base layer on test. Once again I chose a ‘Large’. Large covers chest measurements of 107 to 112cms. It is spot on. The fabric is another claiming ‘anti odour’ qualities however, it is the only one claiming UPF30+ sun screen protection. I think this really is quite important, particularly if you are out in the sun for a long day of riding. The fabric is 84% Polyamide and 16% elastane. Once again it has flatlock seams. 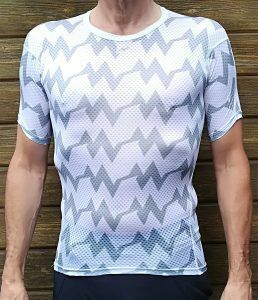 I have generally been sceptical about the benefits of ‘compression, clothing but notwithstanding that, it fits closely and is comfortable. As mentioned previously, it has a disconcertingly clammy feel once you get going but after a while it disappears. If you can put up with this, it is a top bit of kit, keeping you dry and cool as you ride with additional sun protection to boot. There is one of those annoying labels floating about inside the vest. Apparently it can be torn off. So I tried… And it came away easily, without damaging the seam it was attached to. 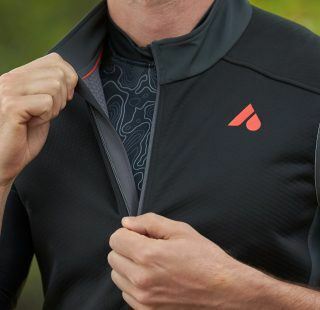 This is the most expensive base layer on test by a considerable margin. This may be because it is the only one with an Italian fabric. Presumably the vest is, made there too. The fabric is 71% ‘multifilament hydrophillic polyester’, 21% polyester and 7% elastane. The seams are the usual flatlock style and the stitching is tidy. The Morvelo sizing chart recommended XL and indeed, it fits well. This is the only one that comes with a little stuff sack which is very nice but I’m not sure it is absolutely necessary. Information is printed directly onto the fabric so there are no annoying labels to bother you. The effectiveness of modern, ‘technical’, fabric is so good nowadays, you are unlikely to end up with something that doesn’t work. Probably the biggest differentiator is in styling and cut. To an extent, this might come down to your body shape too! I don’t do ‘test winners’. The question I was really interested in at the start of this review was whether you really need to spend £50.00 on a base layer. Is there a significant functionality differential and if so, is it significant enough to be noticeable? The short answer is ‘no’. Each garment, from the £6.99 Aldi special to the £50.00 Morvelo, functioned perfectly. The Aldi garment was let down by the strange cut and inaccurate sizing information… But it worked. You will probably be fine with any of these base layers as they all do a very similar job. The only real differentiator was the Under Armour, with its UPF30+ sun screen rating. 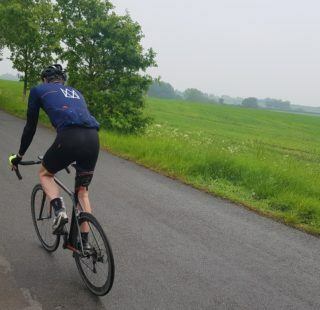 Having been burned through a lightweight jersey before, I think this is a significant plus, particularly if the sun gets really hot this summer!